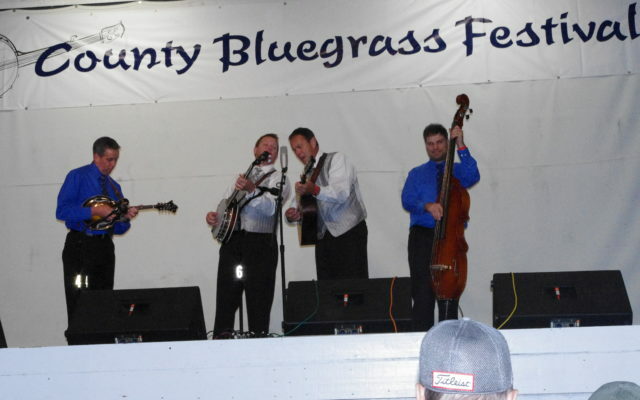 An annual summer music festival that has grown in popularity among bluegrass music fans is celebrating both its 15th anniversary and an award nomination from the International Bluegrass Music Association. FORT FAIRFIELD, Maine — An annual summer music festival that has grown in popularity among bluegrass music fans is celebrating both its 15th anniversary and an award nomination from the International Bluegrass Music Association. Stev and Nancy Rogeski of Fort Fairfield originally organized the County Bluegrass Festival as part of the town’s Maine Potato Blossom Festival in July but later began holding the concerts at their West Limestone Road property. They have funded the costs of operating the festival on their own and over the years have built up the event by travelling to bluegrass festivals across the country and paying attention to the amenities that other venues offer. “Our motto has become, ‘Just Ask,’ because we strive to give people what they want and always ask them what we can do to make the festival experience better for them,” Stev Rogeski said. The festival now runs for four days twice each summer — the last weekend in July and Labor Day weekend each year — drawing around 1,200 people from both Canada and Maine each day. Stev Rogeski credits much of the festival’s success to how he and Nancy offer both attendees and musicians 800 campsites — 350 of which have electricity and 50 amp capability upon request — hot shower facilities and water for campsites. In February 2018, the town of Fort Fairfield sold the Farm Park, a 7,000-square-foot pavilion, to the Rogeskis after deciding not to demolish the barn, which had suffered structural roof problems and would have cost the community thousands of dollars for repairs. The couple had hosted the County Bluegrass Festival at the barn in previous years and plan to continue doing so. During their travels to bluegrass festivals on Prince Edward Island and in Tennessee, Virginia, Kentucky, among others, the Rogeskis have met frequently with both well-known and up-and-coming bluegrass bands and artists and formed a positive reputation among musicians and fans through word of mouth. 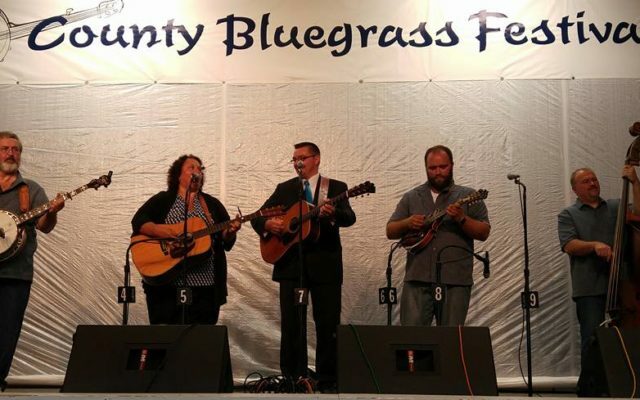 The County Bluegrass Festival has become a go-to event for many bluegrass fans, so much so that the venue is one of five nominees for the Special Event of the Year award from the International Bluegrass Music Association, which is based in Nashville, Tennessee. Other nominees include Bluegrass on the Green in Frankfort, Illinois; the Emelin Theater Mamaroneck, New York; Flagler Museum’s Bluegrass on the Pavilion in Palm Beach, Florida; and the FreshGrass Festival in North Adams, Massachusetts. The Special Event award will be announced during a ceremony earlier in the day on Sept. 27 before the official International Bluegrass Music Association Awards. Folks who missed this year’s July performances can still catch the festival from Thursday, Aug. 30 to Sunday, Sept. 2 in Fort Fairfield. The lineup will include the Waterville, Maine-based band Blistered Fingers, the Little Roy and Lizzy Show of Georgia, Zink and Company of Massachusetts, Joe Mullins and the Radio Ramblers of Ohio, and Bluegrass Tradition of Nova Scotia.